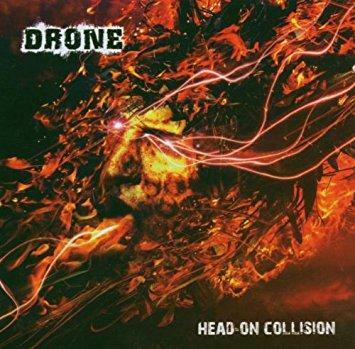 Drone, the thrashers from Celle, Germany have been mixing up the German Metal scene since 2005. At the Wacken Open Air festival they were triumphantly winning the final of the Metal Battle Contest in which approximately 1500 international bands participated and that definitely strengthened their reputation as one of the most promising German metal newcomer bands. At the end of 2006, the four thrashers recorded their debut album „Head-on Collision“ at the Stage One Studios under the supervision of producer Andy Claasen. Powerful parts pair together with sophisticated arrangements and close, with melodic hardness, the gap between modern and old school, and between virtuosic and brachial grooves.